It was a year ago that I met with a client who lived 1500 miles away but happened to be in Austin for a conference he was speaking at. I was all ears hoping for something grand and substantial like some of our previous projects. I must have had a blank look on my face. 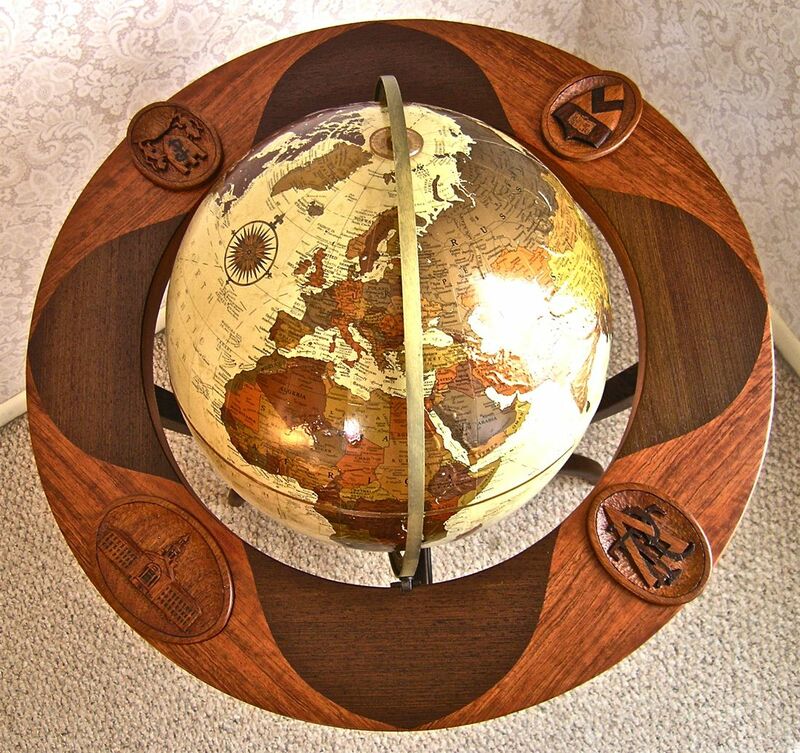 Hmmm, a globe stand? 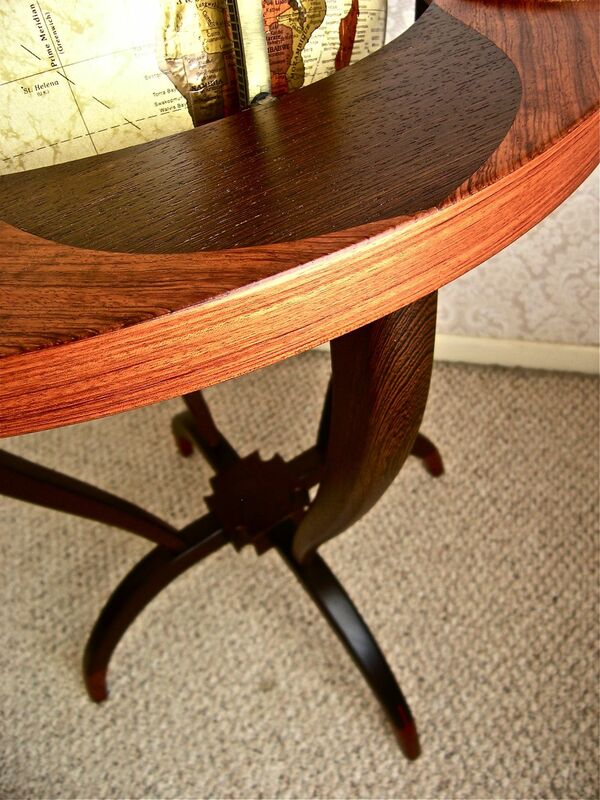 A puny little globe stand? I had to hide my disappointment. This was not the showcase china cabinet or oversized armoire I was secretly hoping for. 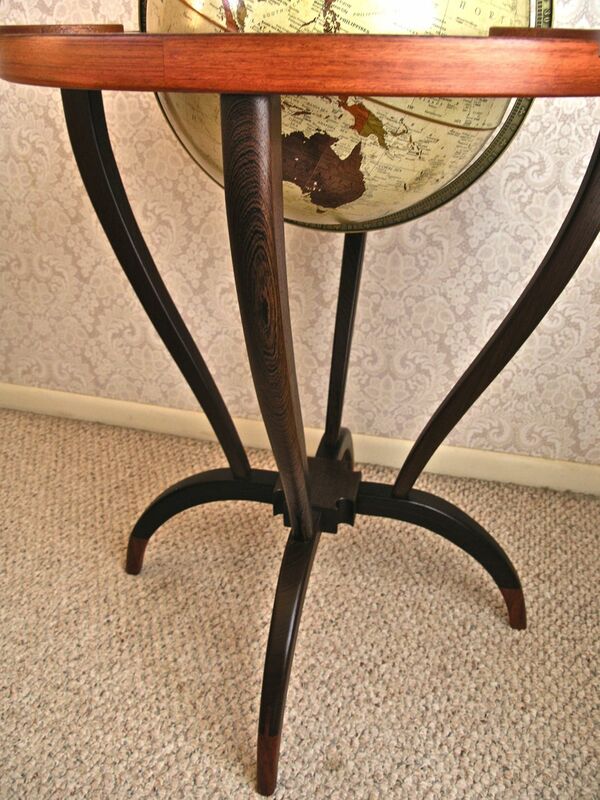 I had never even thought about doing a globe stand before. the campus was like, and, after some discussion, we arrived at subjects for the carvings. I don’t carve myself, but I knew someone who did. 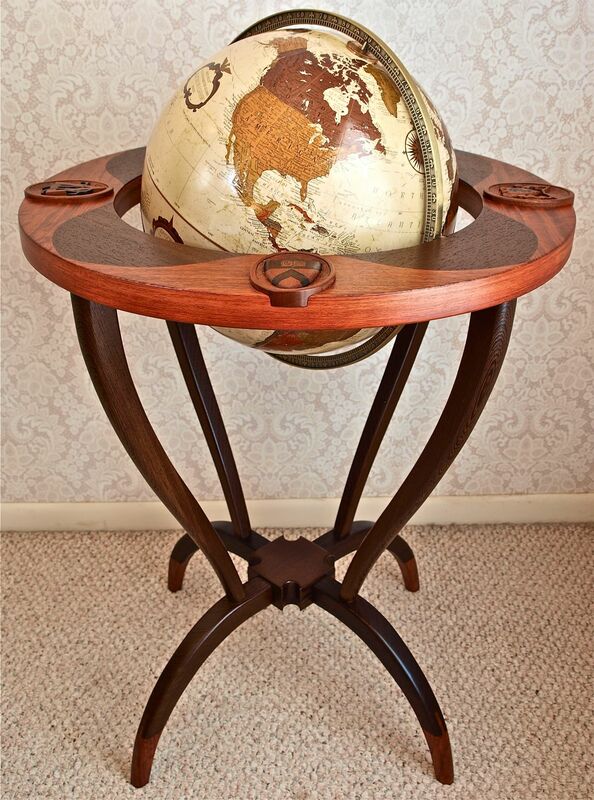 So, I went back home and began trying to design something I had not done before, a custom globe stand. 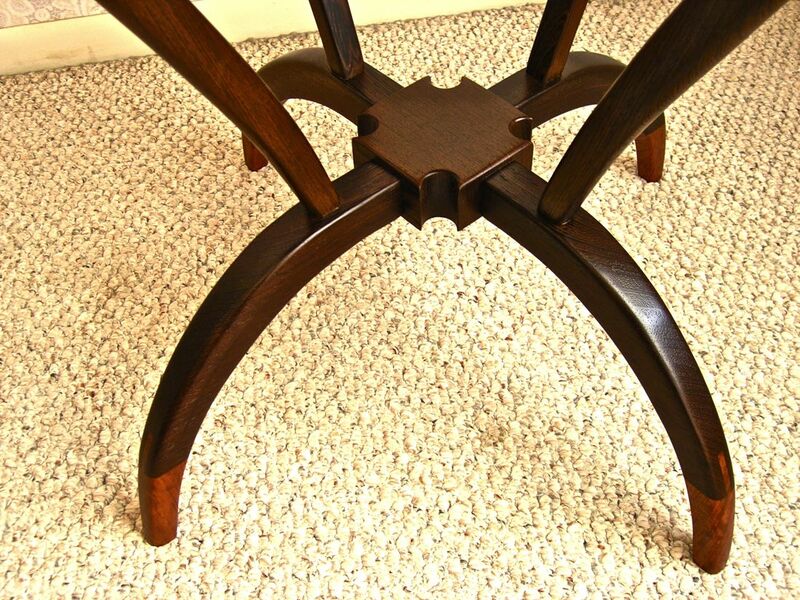 I once heard a furnituremaker say he had more design ideas floating around in his head than he could build in his lifetime, and I was a bit intimidated since designs do not tend to float around in my imagination. Instead, I have to draw, on paper, with pencil and drawing tools. 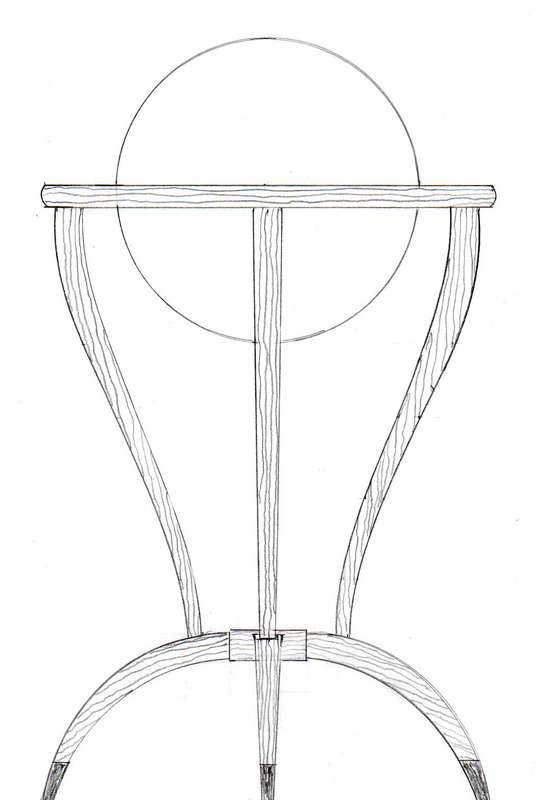 As I play with parts and shapes and curves and proportions, something I like will eventually emerge, but it is usually hard work for me, and I can’t seem to get anywhere with design and CAD programs on the computer. It’s not that I want to be old fashioned, but that tactile, visceral experience of actually drawing on paper is how I beget my designs. 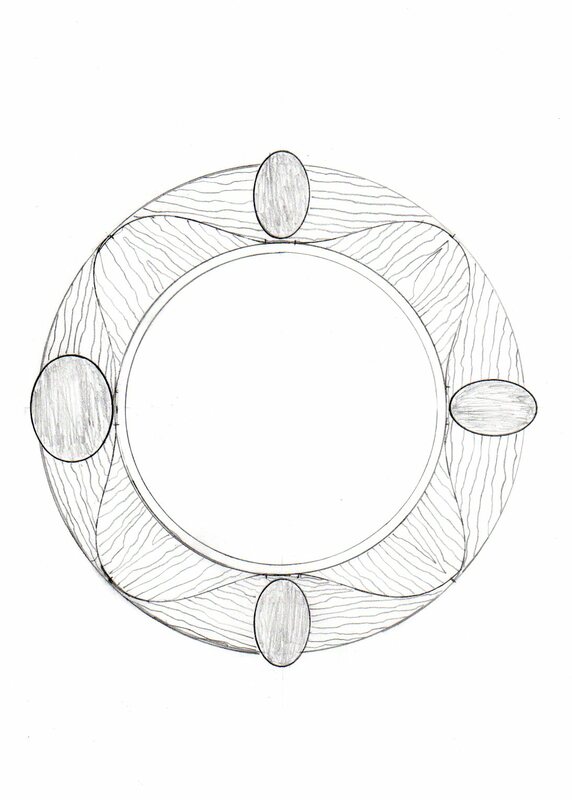 For me the handmade piece begins with the handmade drawing. 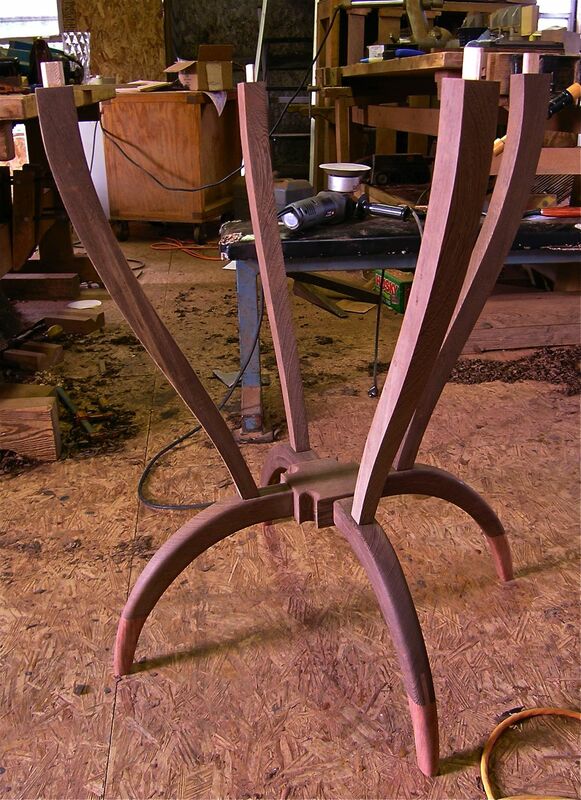 When I was happy with the design, I began to build. 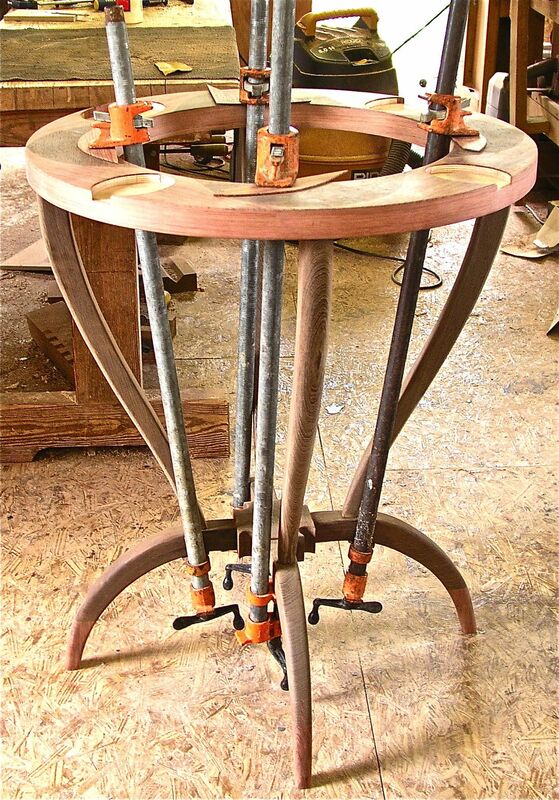 All of the legs on the globe stand were cleaned up with a spoke shave. So much I figured out as I went along, but things began to come together. 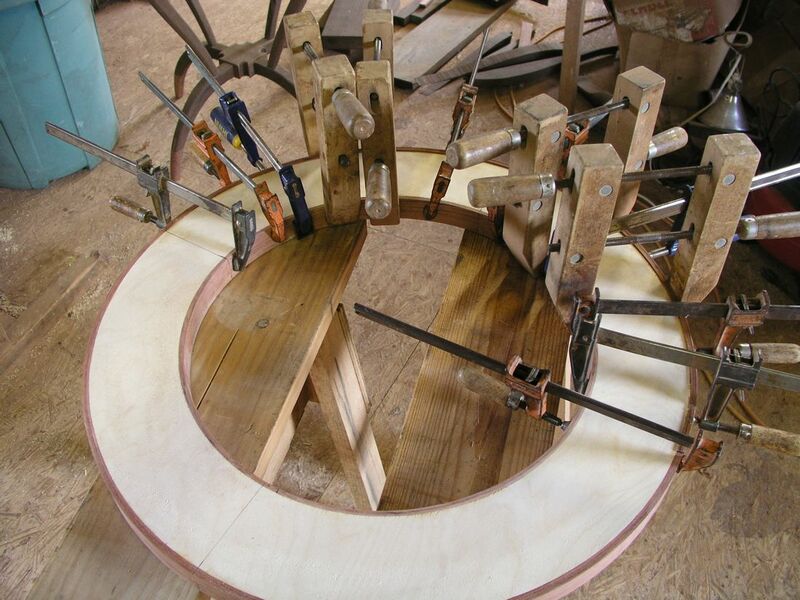 The rim was edged with laminations of bubinga on both the inside and outside edges. 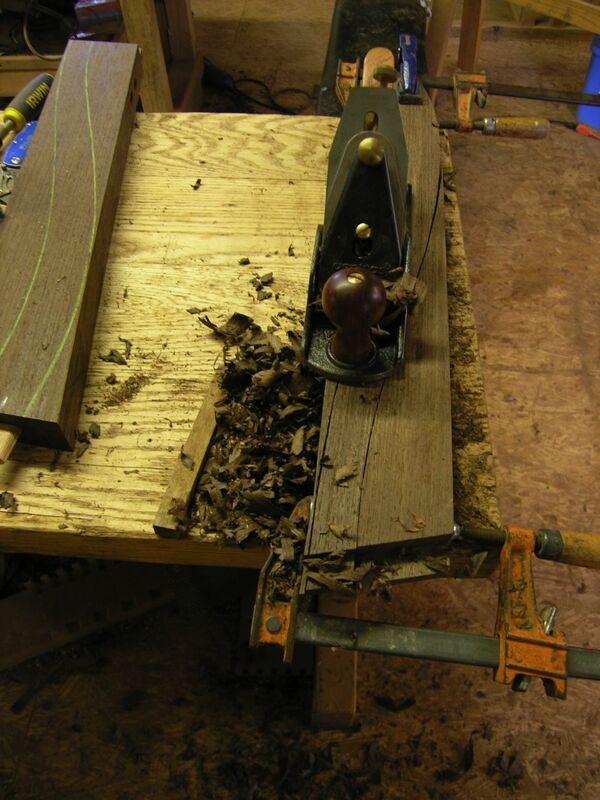 The top and bottom faces were veneered with thick shop made veneer. 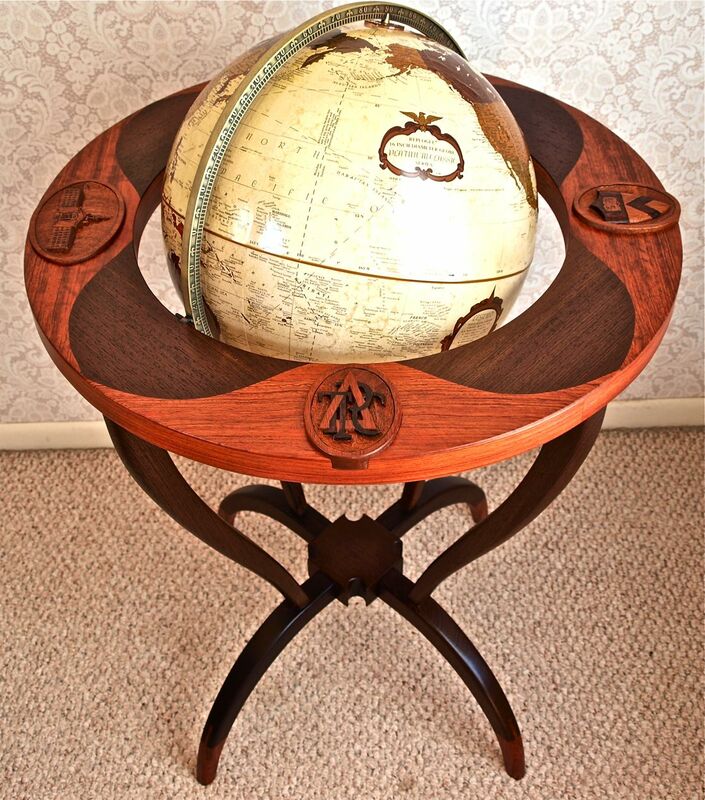 I was very happy with the completed globe stand. It turned out to not be such a puny project after all. Much of it was quite stressful to build. 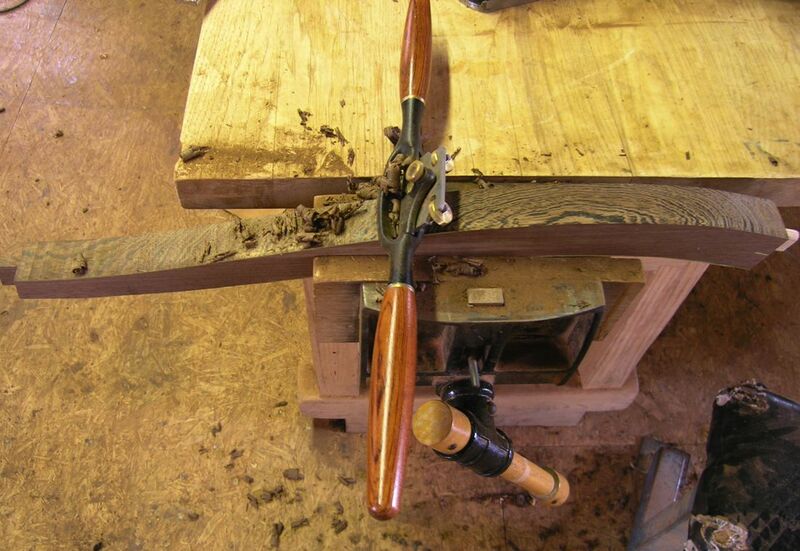 The primary materials are figured bubinga and wenge. 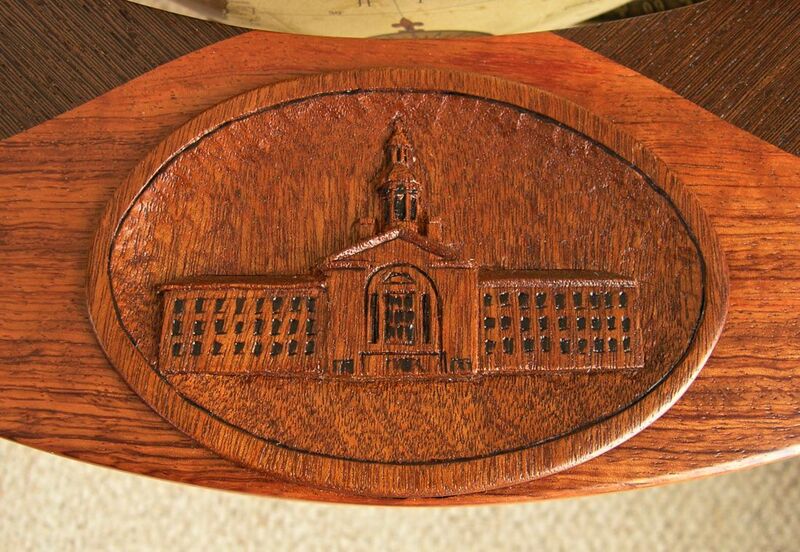 The carvings are in mahogany and were done by Austin, Texas artist and carver, Chaz Chapot. 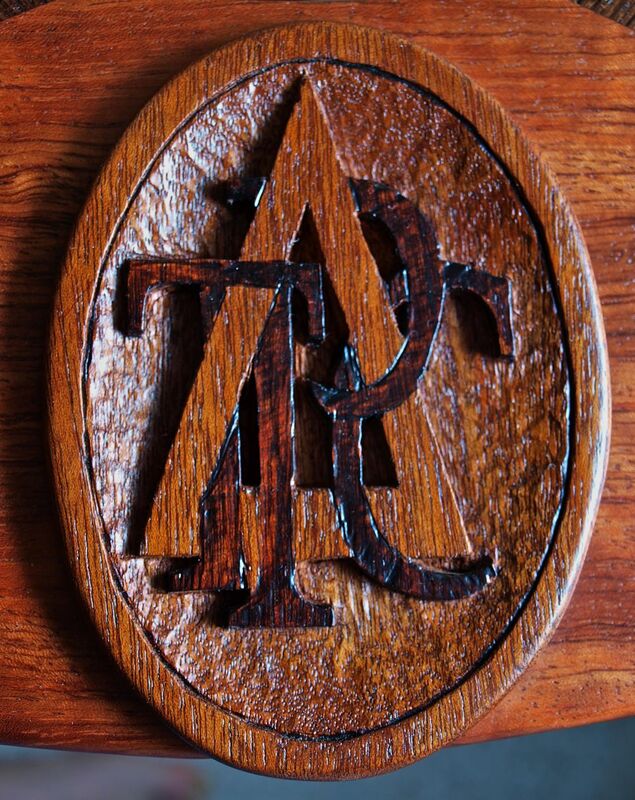 His carvings set off the stand beautifully. 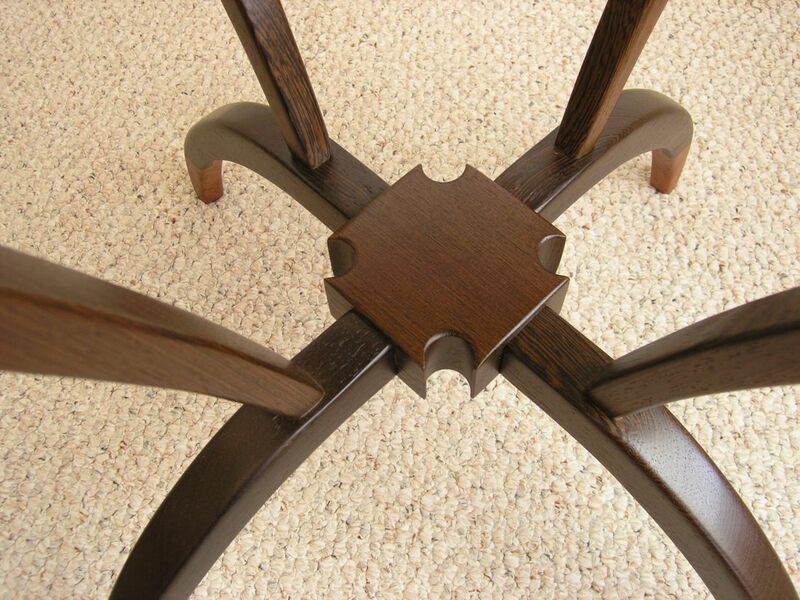 The carvings are actually inlaid into the rim.